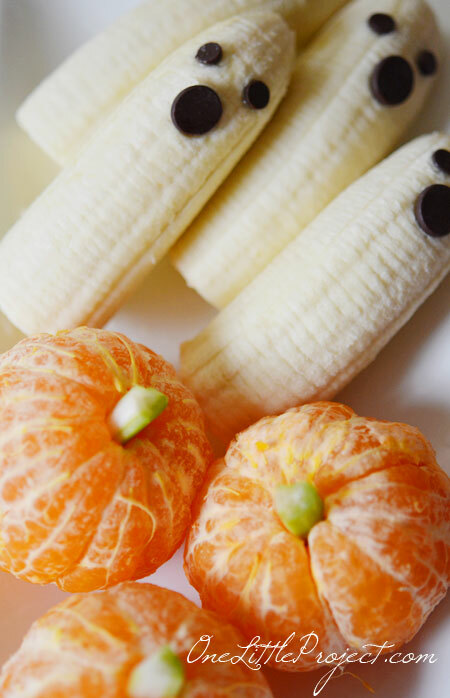 Nothing says Halloween like bananas and clementines! Okay, maybe not. 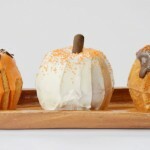 But a healthy Halloween snack is a refreshing change compared to the usual sugary treats that we associate with Halloween. 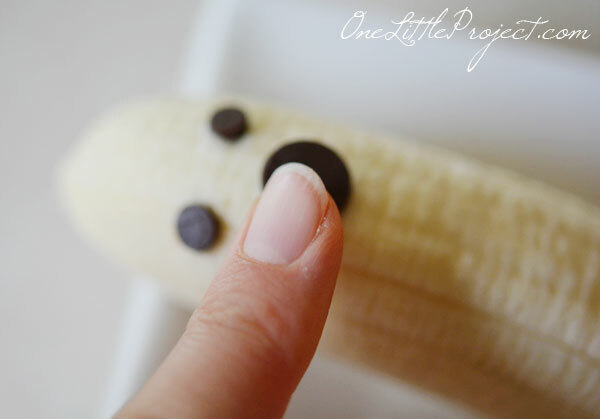 Plus, these two snack ideas are adorable! I have had a really tough time finding the original source for this. There are quite a few banana ghosts and clementine pumpkins floating around Pinterest. These were just so cute that I had to make them for my girls. Look at all the healthy ingredients! 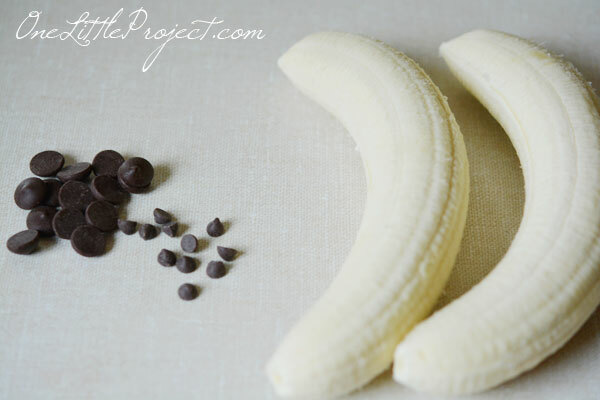 Bananas, clementines, celery, and I would say the addition of 3 chocolate chips is pretty minimal on the sugar front. 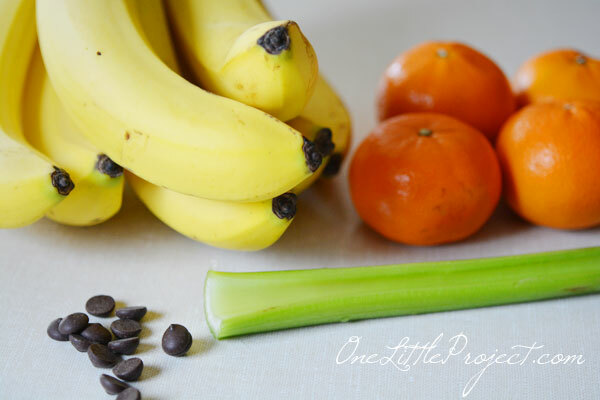 Peel the clementine and slice up celery into some skinny strips. 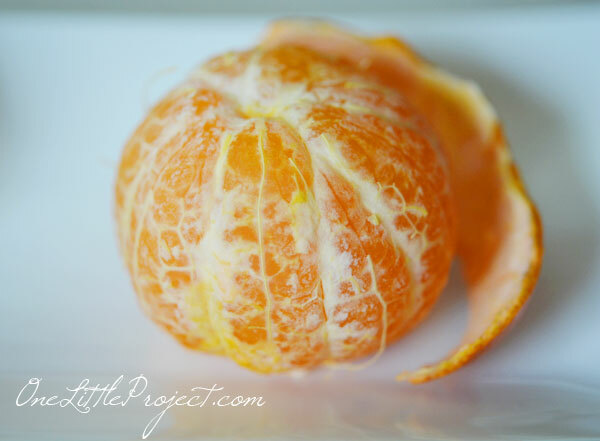 Pull out the center part of the clementine but don’t pull apart the pieces. I’m so excited that it’s clementine season now! They are definitely one of my favourite things about this time of year. 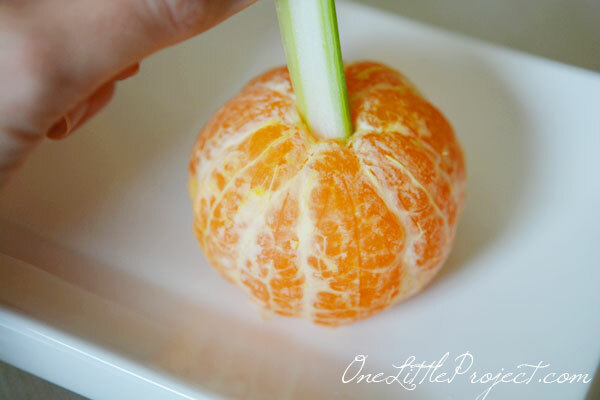 Poke the celery into the top of the clementine to make the pumpkin stem. I had to trim the celery a couple times to get the right length. 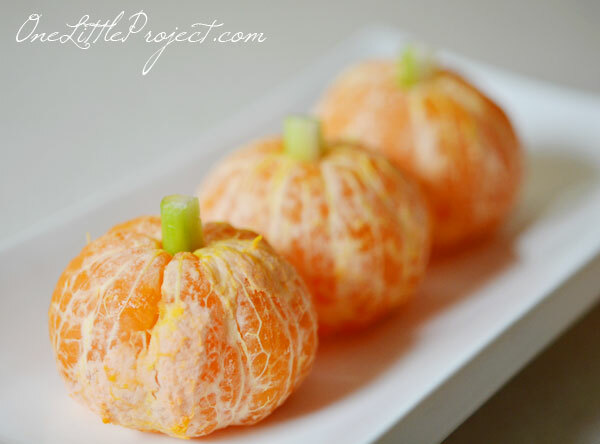 How cute are these clementine pumpkins lined up on a plate? My kids scooped these up right away. I guess clementines are more popular than bananas in this household! 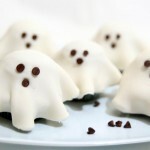 The banana ghosts were super quick to make too. 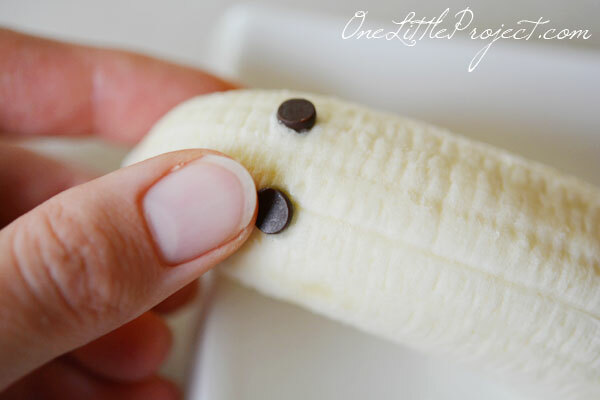 You just need a couple of bananas and a handful of chocolate chips – some mini chocolate chips and some regular chocolate chips. 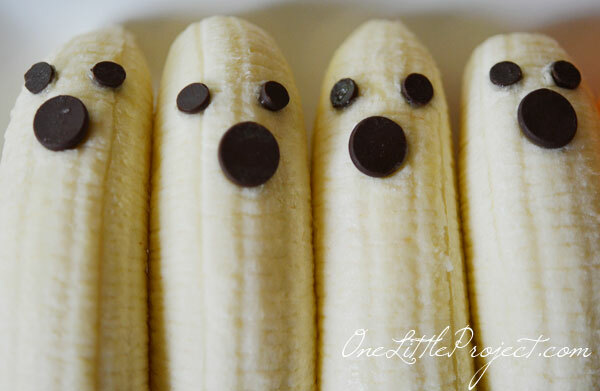 Look how cute these banana ghosts look all lined up in a row! 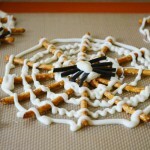 In under 5 minutes you can create an easy Halloween snack that is totally mom approved. These are just so adorable, I will definitely be making them again. My picky little eaters love fun food like this. 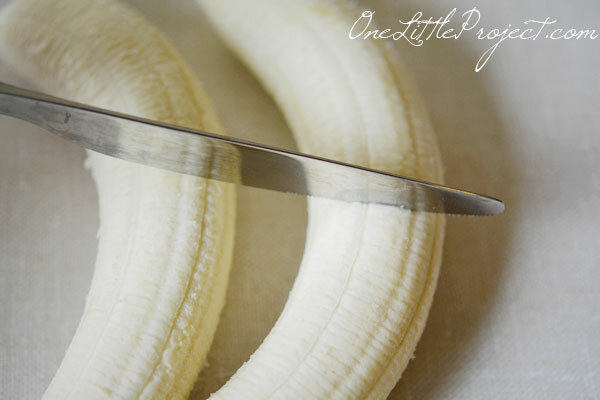 It’s a great way to get them to eat some extra fruit! I have been seeing these EVERYWHERE but no original source… Whoever thought of these healthy treats was a genius! Thanks for sharing them and adding the “how-to”. Always helpful! I wanted to add to my round-up but didn’t want to without instructions. Now I can link to you! Oh my goodness. 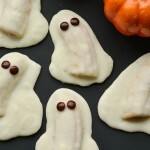 Those banana ghosts are ADORABLE and the pumpkin oranges, i die! 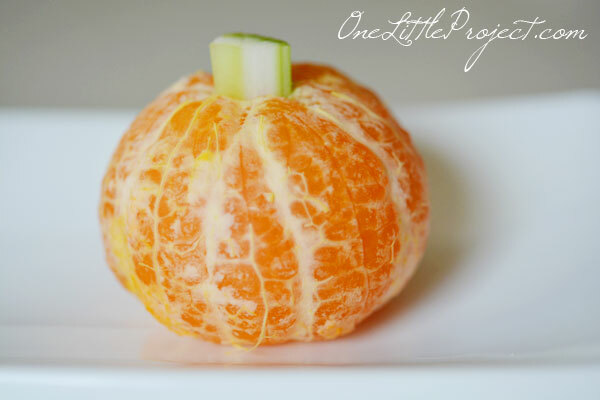 I love this Halloween healthy snack. I’m going to have to make these for my kids. Thanks for sharing and for linking up to Thrifty Thursday. These are fantastic and adorable ideas. Thank you for sharing!